Hello! I always love it when Pion Design creates a pastel Christmas collection! The vintage children and colors in the Winter Wonderland collection are soft and wonderful. This year, I decided that Christmas stockings don’t have to made from fabric to be memorable. 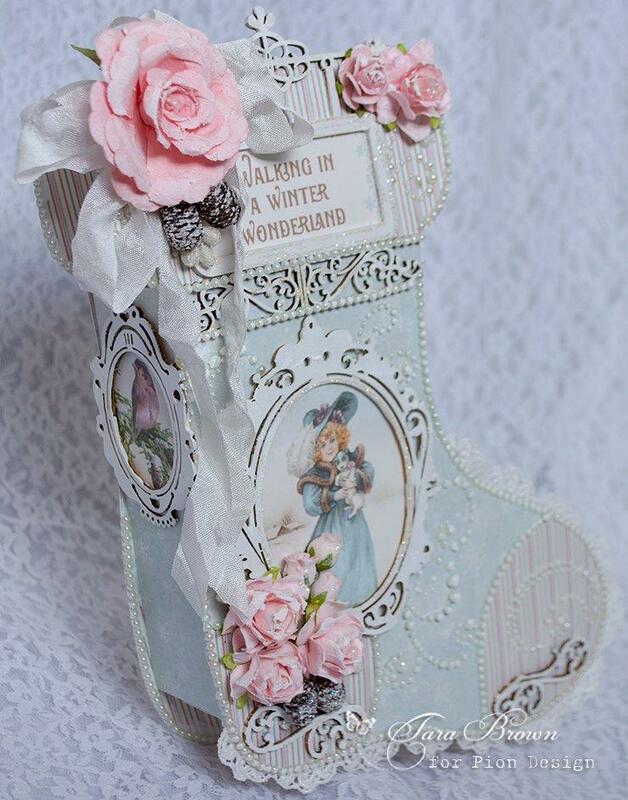 Instead, I decided to make keepsake Christmas stockings from this special collection. For this project, I cut out two 9.5 inch height stockings from Pion Design Palette, covered them with papers from the collection, and then made an open rectangular box to place in between them. 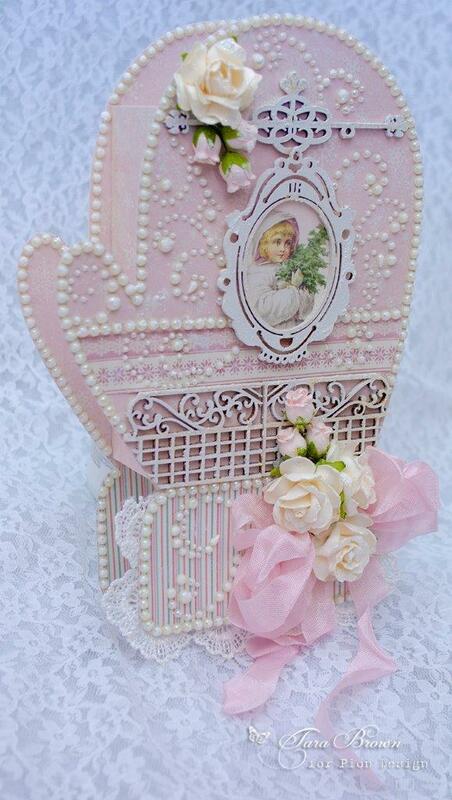 The box was also made from the sturdy Pion Design Palette and was designed to hold Christmas treats and treasures. Here is another project where I cut out two mitten patterns, and then placed a rectangular open-top box in between them made from Pion Design Palette to hold treats. The mittens measure about 8 inches in height. 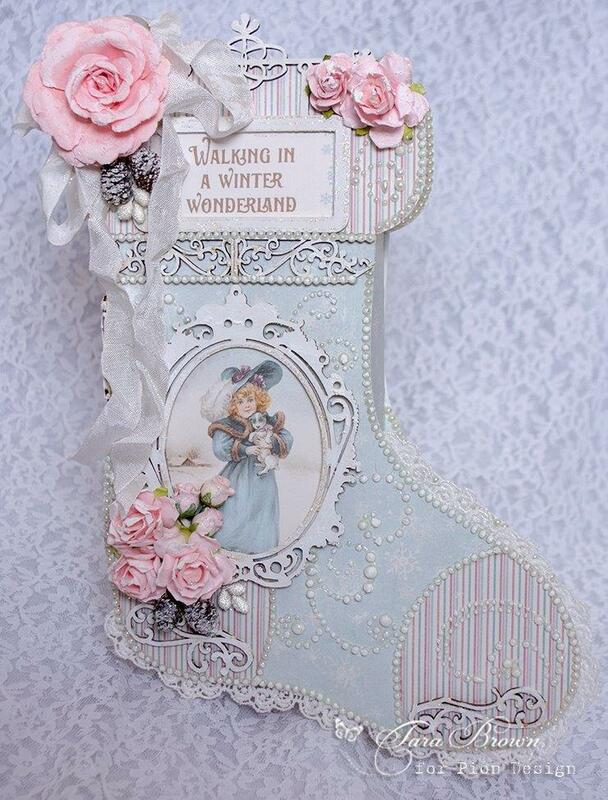 I love the pastel theme for this Christmas collection! Giving handmade Christmas projects is a lovely way to express friendship and love over the holidays! Again 2 amazing creations, i wonder where You get again and again so muth inspiration? Send Some inspiration to my i live in Belgium hahaha.